The winegrowers try to keep the birds away from their vineyards. If such a big swarm attacks the vineyard, it may be possible that most of the harvest gets eaten. Nets shall protect the fruits at locations near the lakeside up until the hills. Sometimes people are also shooting bangers. Gun in hand, Paul Schandl is waiting at the edges of the vineyard “Vogelsang”. Today, you cannot hear the birds sing, because Paul Schandl is shooting bangers in the air every time he sees a swarm of starlings coming around like a dark cloud. He stays there until the hungry birds do not come back anymore. 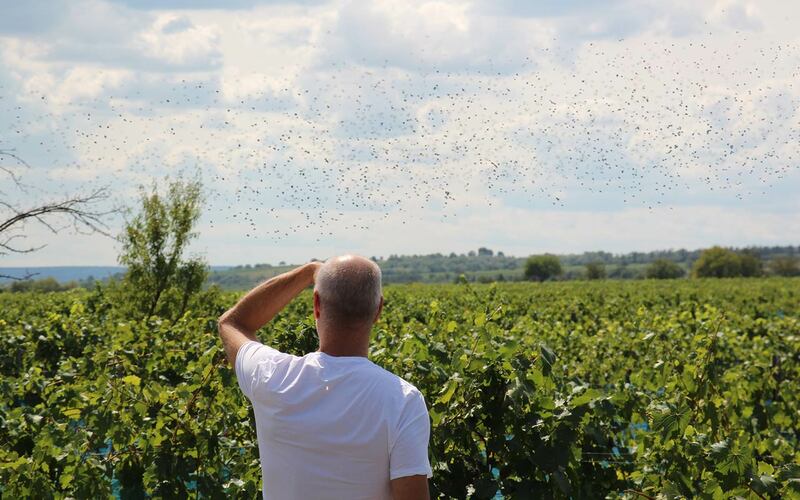 In September, during the early harvest period, thousands of starlings are circling Rust und Lake Neusiedl in big swarms. The winegrowers are not really happy about the birds, because their harvest is at stake. 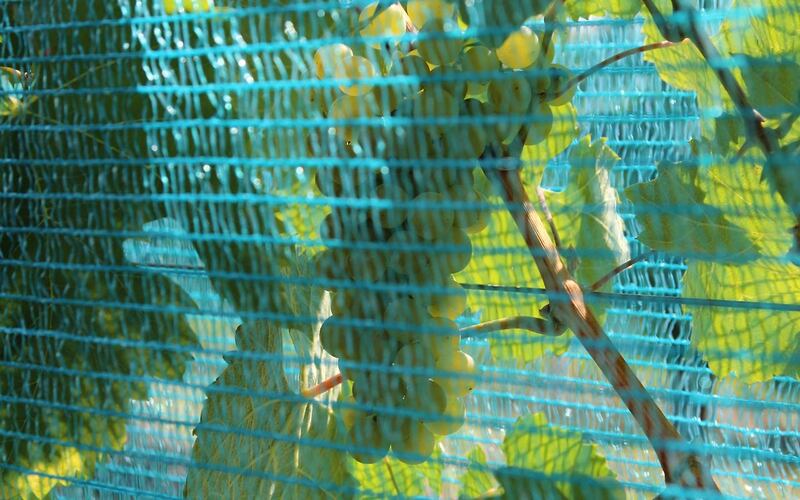 Without protective nets, the grapes located near the lake would be eaten very quickly. 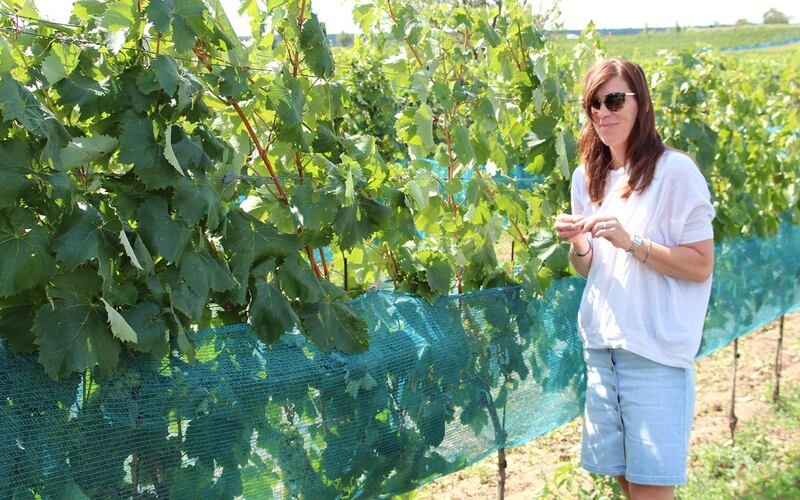 The traditional Furmint and Traminer vineyards have to be protected starting in August. Sometimes the nets are not enough. Therefore, the starlings are chased away by bangers. Since the winegrowers do not have time to constantly chase away the starlings, Rust has hired a person to do so. He is practically a living scarecrow who uses joke articles to chase away the feathered harvesters. Down here at the lake, where the starlings use to sleep, family Schandl is cultivating the traditional Furmint. This old grape variety has been cultivated at that region for hundreds of years. Since the 1980s, a dry white wine rich in tannin is produced from Furmint at the winery Schandl. It has great ripening potential.